IPO mode: A file picture of Intas Pharma’s manufacturing unit in Gujarat. 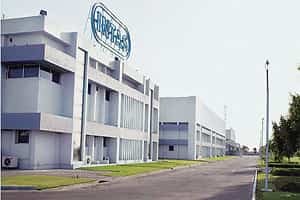 New Delhi: Ahmedabad-based mid-sized drug maker Intas Pharmaceuticals Ltd aims to raise about Rs200 crore through an initial share sale to fund its expansion plans, a person close to the plan said. The drug maker, which is ranked 16th in the Rs34,000 crore Indian domestic market, will dilute about 10% in the initial public offer (IPO). Promoted by the Chudgar family, the Rs1,050 crore Intas is one of India’s fastest growing drug firms in the sector that is expanding at 20-25%. In 2005-06, it had revenues of Rs624 crore, according to the company’s website; more current data was not immediately available. Intas chief financial officer Jayesh Shah said the company was considering an IPO, but details such as timing have not been finalized. Managing director Nimish Chudgar was not immediately available for comment, an executive in his office said. “The company is considering an IPO of $50 million (selling) (around Rs200 crore) about 10%. The lead managers have not been decided," said the person familiar with the share sale plan, adding Kotak Mahindra Capital Co. Ltd, JM Financial Consultants Pvt. Ltd and Enam Financial Consultants Pvt. Ltd were in the fray for the mandate to manage the sale. Although modest in size, the Intas share sale will be the largest public offer in an Indian drug maker to date. Large Indian drug companies have chosen to raise equity and debt overseas. “Intas has a robust product pipeline spread across several therapeutic categories, a good reputation with doctors, and a sizeable share in the domestic market," said a sector analyst with a Mumbai securities firm. Two other pharmaceutical analysts said clarity on the company’s plans and financials will come through only when it files for the IPO with the market regulator. Intas has drugs in chronic therapy segments of central nervous system, cardiovascular, diabetology, gastroentrology, urology and pain management. It has a presence in South-East Asia, Africa and a small presence in the US, Europe and Latin America. It also has affiliates in the fast growing segments of contract clinical research and biotechnology—Astron Research Ltd, Lambda Therapeutic Research Ltd and Intas Biopharmaceuticals Ltd. Private equity firm ChrysCapital, which had bought a 12.5% stake in the company in January 2006 for roughly Rs53 crore, will stay invested and not exit as part of the public issue, the person close to the share sale said. As big drug makers have focused largely on overseas markets to raise money in the form of foreign currency convertible bonds or depositary shares, it is only small drug firms such as Intas that have turned to Indian bourses. Drug makers that have raised money this year include Celestial Labs Ltd, which raised Rs30 crore, SMS Pharmaceuticals Ltd (Rs110 crore), Alpa Laboratories Ltd (Rs57 crore) and Saamya Biotech (India) Ltd (Rs15 crore). Last year, Plethico Pharmaceuticals Ltd and drug packaging company Ess Dee Aluminium Ltd raised about Rs150 crore and Rs157 crore, respectively.